Welcome to the home of Dr. Cher Rich, your Dentist on Jones Road. She and our team have been providing high-quality, family friendly dentistry to the Northwestern Houston area since 2003. Our approach is to simply treat you like we would want to be treated ourselves. We won’t make you wait for an appointment, our staff will treat you like and old friend, and Dr. Rich will always take the time to get to know you as a person. This will enable her to design her treatments to suit your exact needs. 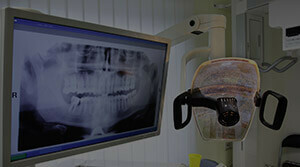 We offer preventive, restorative, cosmetic, implant, emergency, and even sleep apnea dental services all under one roof! When you come to see us, you can trust that we’ll always choose to use the most conservative and longest-lasting treatments. Your needs will always come first! To learn more about everything we have to offer, just click on the links below. After that, simply contact our office today so we can start serving your smile!